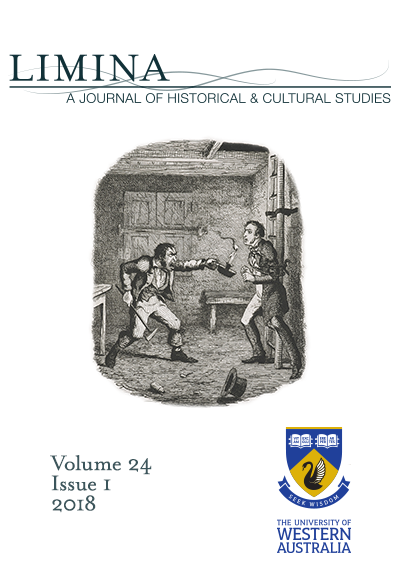 Limina is a journal of historical and cultural studies published at the University of Western Australia since 1995. The journal's editorial collective works with an international advisory board to publish two issues each year: a themed issue (linked to the Limina Annual Conference theme)and a general issue. Interdisciplinary in outlook, Limina welcomes scholarly contributions from authors worldwide in the form of research articles and book reviews. All research articles are double-blind peer reviewed. Limina is an online Open Access journal.